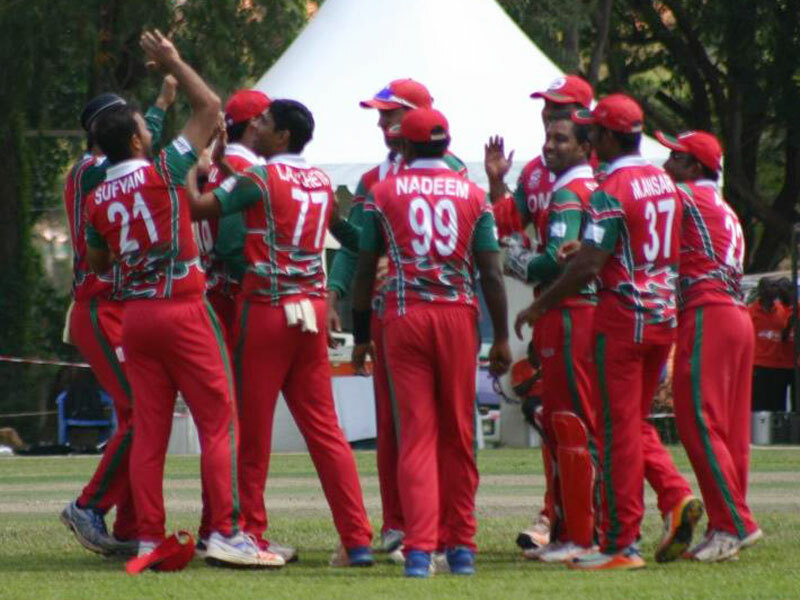 Omani players celebrate a wicket// Alvin Bagaya. CRICKET. Media houses counted the match as make or break for either team which was outright disrespectful to their two remaining opponents in the tournament. Oman and Uganda still have two games to play after this and the general assumptions was that they will qualify but both technical benches will know you only qualify when your squad is on the finals nomination sheet to the umpire. Uganda won the toss and elected to bat, a decision that may have backfired as they lost out of form opener Arthur Kyobe in the first over for a second ball duck. Hamu Kayondo 20(41) fell to the leg spin of Kawar Ali but Bilal Khan had already taken care of pinch hitter Muhammad Irfan 15(19). Roger Mukasa 57(68) stroked two fours and one six, making the most of two dropped opportunities to score a much needed half century off a score card that was a sore sight at Kyambogo Cricket Oval. For long, Mukasa has been a source of runs for Uganda but his main support recently, Ukani Shehzad 9(17), was clean bowled by Khawar Ali’s leg spin. There was never any showing late in the order after the usual late order fighter Deus Muhumuza was questionably dropped for the fixture. The team sheet raised many queries among home fans after lead scorer against Singapore was dropped as well. The result will no doubt be an indictment on the coaching staff. The Uganda innings folded in the 47th as Maqsood and Bilal Khan were the chief destroyers on the day. The Oman run chase was led by Jatinder Singh 52(63), stroking a half century, the much feared Ugandan spin attack rendered ineffective in the face of a paltry score to defend. He scored ten fours and one six in his innings. Uganda Captain Davis Karashani remains hopeful that the fate of the Cricket Cranes in the ICC World Cricket League Division III remains in their own hand. “It is still wide open, we still have a chance,” Karashani said. Jatinder Singh 58(71) and Captain Sultan Ahmed 22(44) who were both run out put on 63 for the third wicket and by the time they left the wicket, Oman were home and dry; Nassem Kushi 14*(12) and Ajay Lalcheta 19*(10) knocking off the winning runs in the 27th over; Oman winning comfortably by six wickets.